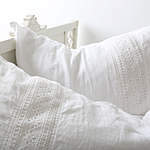 Rachel Ashwell Cluny Lace Bedding - Swatches may be available. 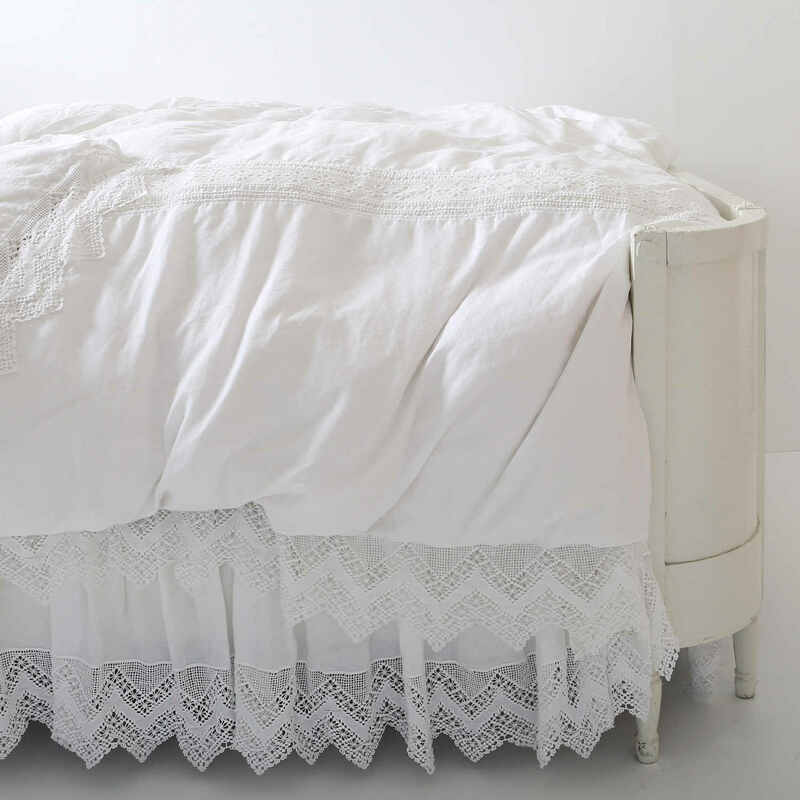 The Rachel Ashwell Cluny Lace Bedding features a vintage-inspired linen with an application of delicate lace that offers charm and luxurious romance. 100% Linen (excluding lace). Machine washable. Soft washed 100% linen paired with cotton lace. 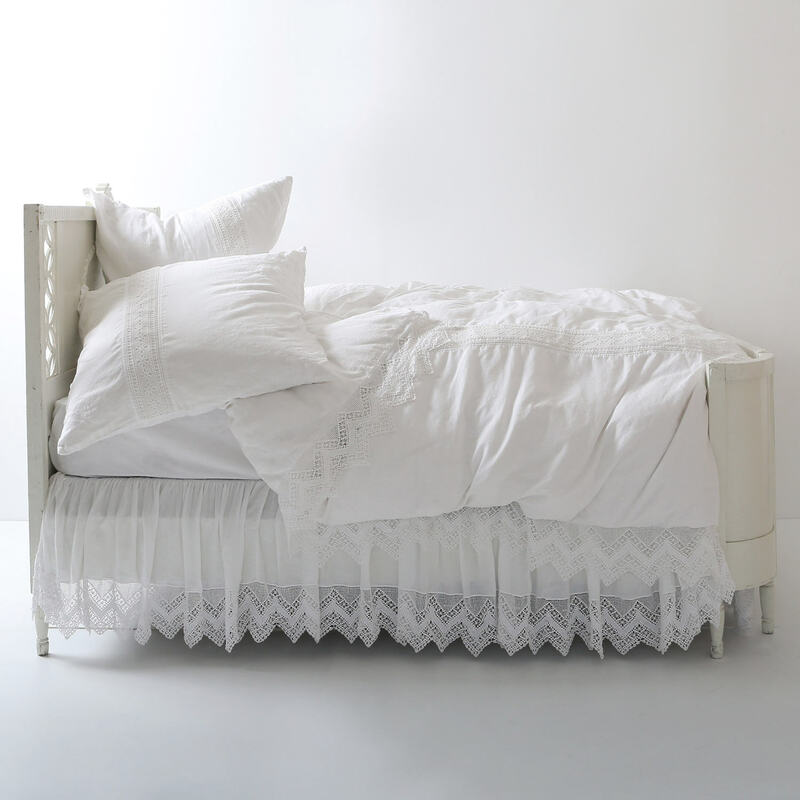 The Rachel Ashwell Cluny Lace Duvet Cover is a vintage-inspired dream of soft, washed linen paired with a delicate, bobbin-style lace inset. This duvet cover slips securely over an insert through a zipper closure and fastens in place with double interior tabs. 100% Pre-shrunk Linen (body), 100% Cotton (lace). The Rachel Ashwell Cluny Lace Coverlet in Indigo tops your bed in dreamy, intricate bobbin lace, bordered by a coordinating zig zag edge that's trimmed with charming tassels. Cluny Lace pairs soft, washed linen with cotton lace for dreamy repose. 100% Linen with 100% Lace Detail; Machine Washable. 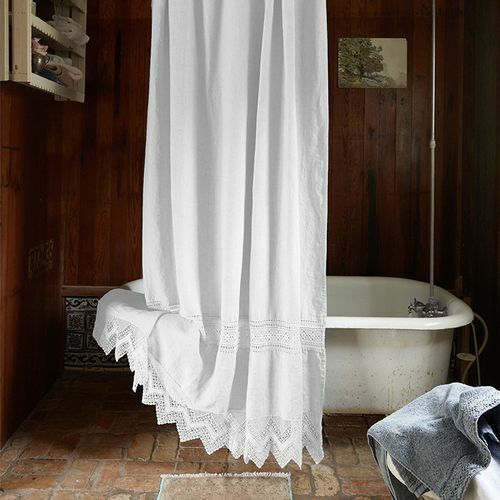 Add the Rachel Ashwell Cluny Lace Shower Curtain to your bath for the look of relaxed elegance. 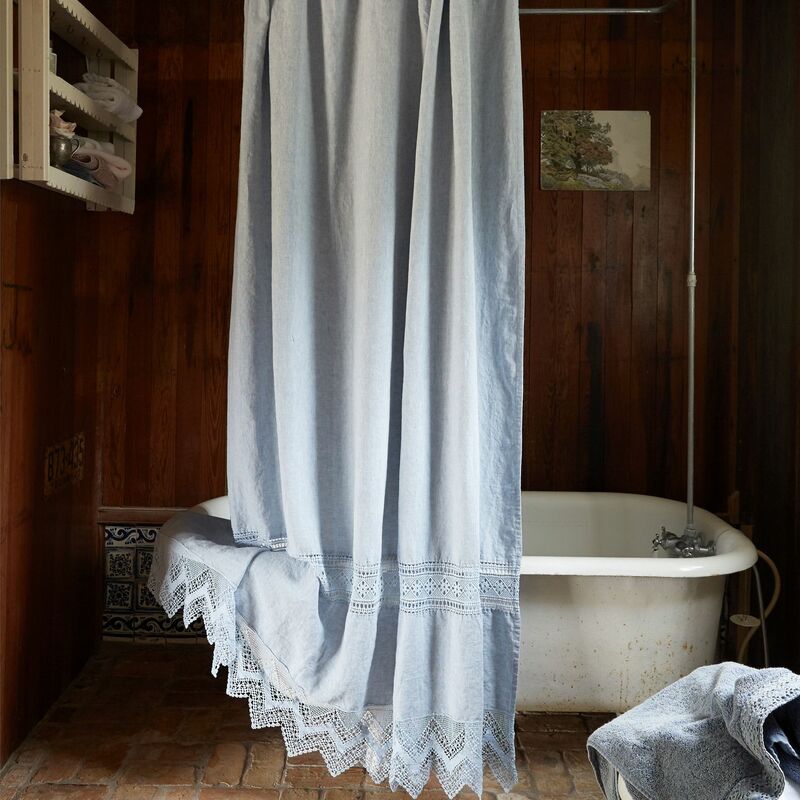 This soft, washed linen curtain features a banner of bobbin-style lace and a coordinating bottom trim with a zigzag edge. At top, 12 reinforced holes offer ease of hanging. Machine Washable.